This article is part of our continuing series, Detroit Goes Digital, that goes behind the scenes in Ford’s advanced virtual reality design labs. The very first steps of creating an automobile still look a lot like the mechanical pencil strokes you used to lay down and sketch out imaginary cars between the margins of your history notes in middle school. Except now the notebook is a widescreen monitor, and the mechanical pencil is a Wacom tablet. Illustrators use Autodesk TKTKTKT to lay down the first pensive lines that will eventually shape up to be lines of cold, punched steel. But that point might literally be years ahead. Before they get there, they’ll be tweaked, massaged and prodded again and again on the screen. Sketch lines become hard lines, which get filled in, shaded and worked over to produce a full-color rendering. From this basic side view, engineers can overlay some vital points – like occupant seating – to make sure the basic shape is actually feasible. Through the magic of CAD software, these sketches get extrapolated into full three-dimensional renderings. Crucial as they are for engineers, who need to figure out how to shoehorn all the associate drivetrain parts into a shell of a body, these 3D models also still have plenty of use for designers as they fine tune the finish details of the car. For instance, interior designers can take a virtual look at the inside and swap materials – like different kinds of leather or aluminum – in real time, then fiddle with color to produce trim packages. On the outside, they can mix up virtual paints and “flop” them on the car instantly, with accuracy that extends right down into visible metal flecks that shift in different lighting. After producing what might pass for a final production model, designers get a chance to yank their creations out from the monotone grey backgrounds of CAD software and onto the street. Using a specialized Spheron camera, designers can capture a full 360-degree image of a real place, like a showroom or neon-bathed piece of the Strip in Vegas, complete with complex lighting data, then add the car in on a PC at the lab. Designers can then pan around it in near photorealistic detail and watch how the sun, street lights, and even hazy weather play on the car’s reflective surfaces. 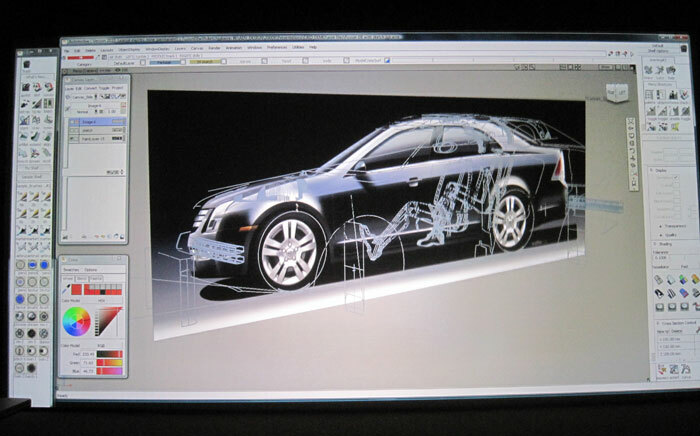 By the final stages, the 3D renderings for new cars have been peppered with so much detail, manufacturers can actually produce graphics almost undistinguishable from the real thing. Those incredibly smooth pictures of a new car you might see in the fold-out brochure from a dealership? 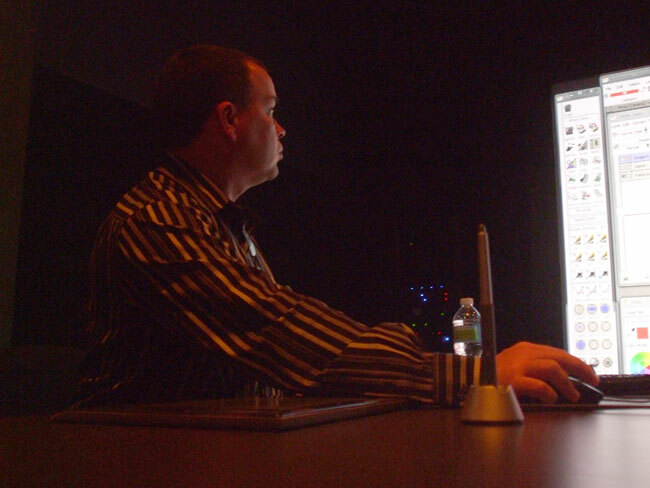 Actually computer renderings, which can take up to 12 hours to generate, even on Ford’s 670-core rendering farm. Follow the links below to check out our other articles on Ford’s new technology and find out how the age of digital design is changing the hunk of steel and rubber in your driveway for the better.